The School of Pharmacy offers their course in English and in French. Cluj, which has been one of the most flourishing cities from the era of the Roman Empire until the Austro-Hungarian Empire, has a tradition of Pharmacy. One of the oldest pharmacies in Europe was locating in Cluj, operating since 1573. An amazing medieval mansion operated as a pharmacy until 1949. Today in this location there is the Pharmacy Museum, where the instruments used to make drugs in the Middle Ages still exist in the basement. * The city of Iasi is one of the oldest cities in Romania, known for its great economic and cultural development during the Middle Ages and the Ottoman rule. 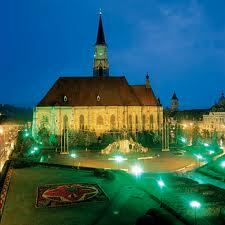 * Population is about 350,000 inhabitants and it is the second largest city of Romania. * Iasi airport has several flights a day and connects to many cities in Europe. * It has Medicine, Dentistry and Pharmacy Schools. * Since the academic year 2009/2010 there were changes in tuition fees at universities in Romania and the admission system for European students. The tuition for the students who will be enrolled in September 2010 is 5000 EUR per year. * The academic year lasts 30 weeks, beginning on October 1 and ending on July 8, when all exams, regular and repetitive, have been completed. Lectures are interrupted for the Christmas holidays and Easter. * The academic year is divided into two semesters of 15 weeks. Each semester is followed by an examination period (Winter period: January-February, Summer period: June-July, respectively). 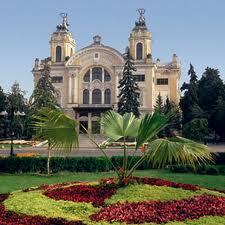 * Rent prices in Iasi are comparatively cheaper than in other cities. * Many foreign students study at the Medical School and the School of Pharmacy each year. * Universal provides students admission to the University and helps them with the registration process and accommodation. The School of Pharmacy, University "Gr. 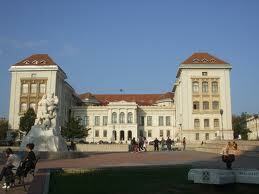 Popa" in Iasi one of the most well-known faculties in Europe. Teaching is in Romanian or English. The School of Pharmacy has more than 1200 students. • The course lasts 5 years. 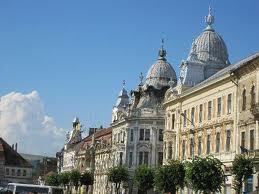 • The last semester is devoted to practical training in pharmacies of Iasi and other cities in Romania or abroad.